Parodied, mocked, and dismissed, the bourgeois bohemian is nonetheless a huge cultural force. ”Bobos’” for short, these are the people who reject conspicuous consumption and mass consumerism in favor of all things local, organic, artisanal, handmade and authentic. As (slightly) exaggerated in the sketch comedy show Portlandia, these are the people who demand not only to know if their chicken was organic, but its breed, its personality, and its favorite color. The bobo’s rejection of mainstream capitalism, however, does not preclude them from spending lavishly on goods that match their ideals. 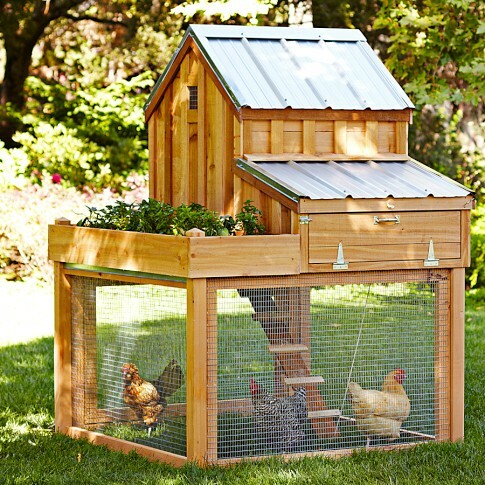 The Williams and Sonoma chicken coop below, for instance, is € 1,000. Businesses big and small, new and existing, are serving the needs of this back-to-the-earth (but not too much so) population. While it’s easy to chuckle at bobos and their small-batch mayonnaise, the fact remains that these consumers are driving real change. Not only do they demand “realness” in products, they are also well-to-do and well-educated enough to be able to separate the wheat from the chaff when it comes to advertising promises. Witness, for example, the uproarious backlash against Campbell’s instant Go soup, which was so blatantly marketed to food-truck-loving millennials that it inspired a scathing Gawker post and a segment on the Colbert Report. No longer content to buy the hype, the bobo craves a connection to authentic goods and stories. Luckily for sustainable, fair, or otherwise unique businesses, from the local farm to the giant B corporation, this (relatively) new breed of consumer has opened more opportunities than ever before to translate “realness” into sales and brand awareness. So how to target the bobo, the urban homesteader, and the DIY hipster? Companies can compete by offering what Mike Doherty of Fast Company calls real experiences, real products, and real access. Honest, transparent, and ‘good’ products must not merely help people in the business of living, but must also give shape and meaning to their lives. Compelling narratives play a large role in crafting this sense of realness. An interesting back story, however, is nothing if it is not properly framed. Can your company trace back the wool in a sweater to a specific flock of sheep? Then do so. Do your employees pursue interesting second lives outside of their work? Then advertise it. Putting a human (or animal) face on your products will hold special appeal in a sea of cheap, disposable and undifferentiated consumer goods. By Allison Guy. Reactions to: info@mediawise.eu. Or add your comments here.